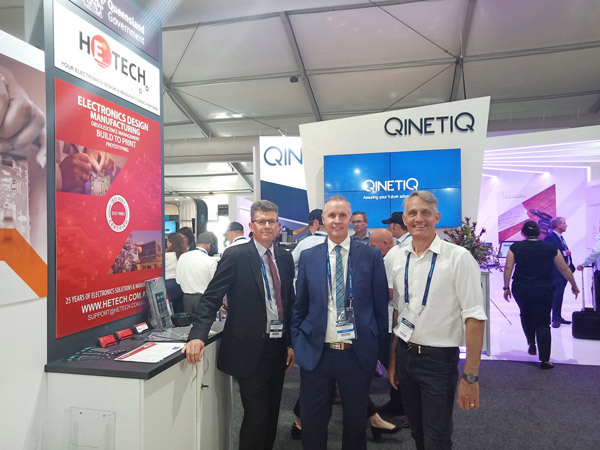 Hetech recently had the opportunity to participate in the Avalon 2019 trade show for six days. Avalon, which is a trade show for the aerospace and defence industries, was the perfect time for Hetech to show off our latest products and our electronics design and manufacturing capabilities. Thanks to the Queensland government, we were able to set up a booth at this event, and discuss our products and services with both business and interested individuals. We’re proud to have participated, and we look forward to the next Avalon Airshow, which will be held in 2021 – on the 100th anniversary of the Australian Air Force! The Avalon Airshow is known as the largest airshow in all of the Southern Hemisphere – and this year was no different. There were a huge number of aircraft from all across the world, spread across multiple runways in the steamy Australian heat. We loved getting to meet potential customers, individuals, and other exhibitors during the Avalon Airshow, but we didn’t spend the entire time at the Airshow working! We spent some time touring the aircraft that were being shown – in particular, the Lockheed Martin F-35A Joint Strike Fighter caught our eye. It was truly incredible to see one of these aircraft in-person – from the gigantic engine to the sleek, streamlined design, the F-35A truly looks like the next-generation aircraft that it is intended to be. We’re proud to serve Australia and the defence industry with our defence electronics design & manufacturing services. Hetech is a leading provider of mission-critical electronics in the defence industry – and if you’re interested in learning more about our manufacturing capabilities and past products, we’d be glad to hear from you. From design to manufacturing, we handle every step of the process in-house in Australia, ensuring confidentiality and secrecy, and that the Australian air, land, and sea defence industries have the high-quality and reliable components that they need. For more information, please contact Hetech right away. We’re always looking for new customers in the defence industry, and would be glad to hear from you.